Whether you are looking to recover your home or build a wall, call PMI to discuss your unique project! We proudly stand behind each and every one of our projects. Check out our project gallery to view some of our recent commercial and residential projects! If you're looking for custom masonry work, contact us today! We look forward to working with you on your project! PMI Washington , Masonry, Block Fences and More! 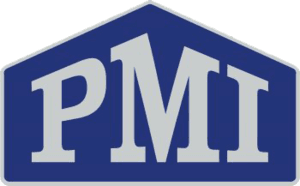 PMI is a premier contractor for residential and commercial masonry design and installation services. For many years, we have provided custom masonry services for residents of the Tri Cities and the surrounding areas. Whether you are a landscaper, architect or homeowner, we are ready to begin your next masonry project. From landscaping companies to architects and building professionals, we have worked alone and in teams to create works that will span generations. At PMI, we are able to help you at every step of the process, from design to installation. We make sure that every step of your project is completed correctly, we take our time and don’t miss a single detail! If you need custom masonry work, contact us today. We look forward to providing you with beautiful brick work at competitive pricing. Call or email now!